Yesterday was like something out of ground force or DIY SOS. 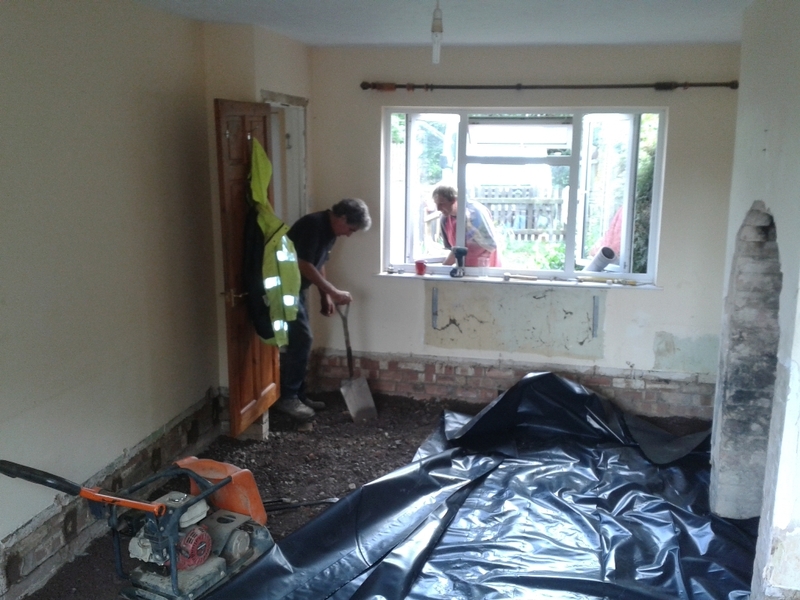 I got up quite early and started doing some jobs to the room like blocking up the holes where the joists used to run. Then around 9.30 all heel broke loose as my reinforcements arrived. Jack hammers breaking out concrete, tractors to lug away the stone, sledge hammers banging. All good fun. We managed to take the fireplace right back and put in a duct drawing air from outside to help it draw. Dad kept getting carried away and taking another layer of bricks out each time I left the room. Plenty of scope now with what to put back in there. 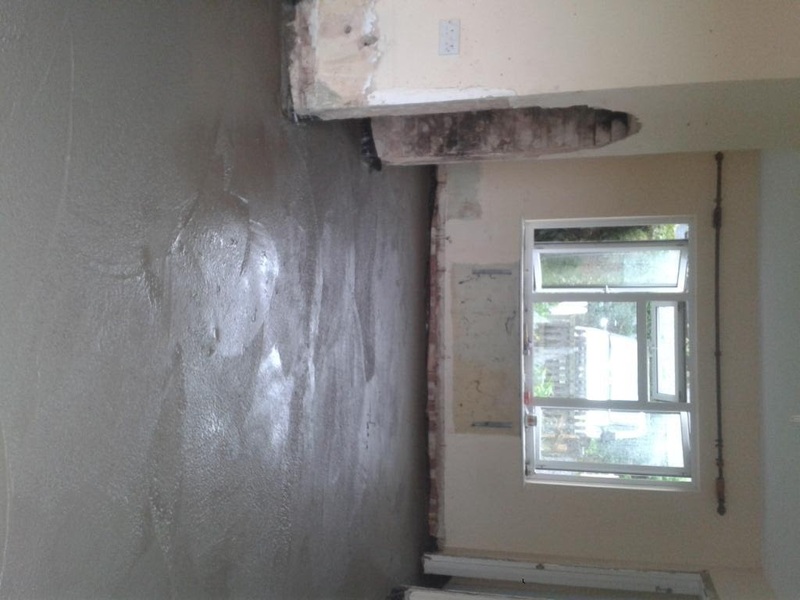 We also had to remove the floor in front of the front door due to the way the joists ran and were supported, this meant more concreting but it saves a job later. 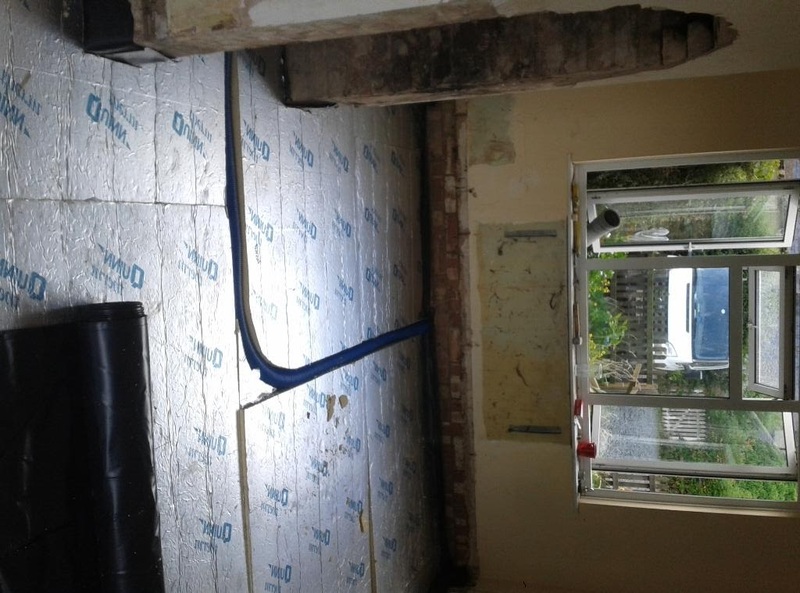 By 4.30 we'd broken up the floor lab under the old toilet, taken the chimney right back, removed all the rubble, laid a layer of stone, wackered it, added a layer of plastic, put down the kingspan (type) insulation and added another layer of plastic. No idea whats going on with these last two pictures and I can't get them to turn round! A neighbour popped round about then and said "it doesn't look like your get it concreted today then". We did. Dad, Ian, Harry and Nick On Sunday. With ages ranging from 14 to 56 everyone worked hard and really well together. Hopefully it was as enjoyable as concreting can be! Thanks again guys! Now I've just got to wait a month for it to be dry enough to lay a wood floor on it! 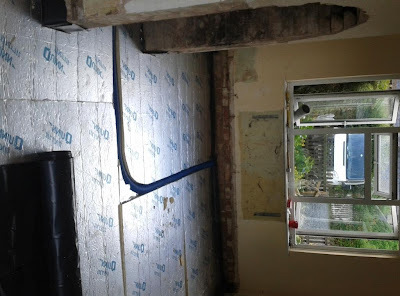 Hopefully I'll get the fireplace sorted out in the meantime as well as plastering, plumbing etc. Anyone else get much done over the weekend? I'm not telling you...you'd laugh at how pitiful it was. Every weekend isn't like this though! It would kill me! Who is screaming outside the window? 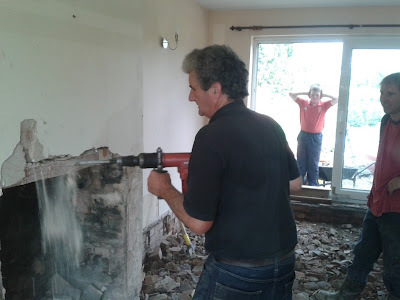 Thats Nick the youngest helper - He doesn't like the lou noise of the breaker - we should all be wearing ear muffs really I guess! Gee you don't waste any time. Great team work there, looking good so far! Well compared to what you got done on the weekend...No! "Gotta push on" is my dads favorite phrase! WOW!!! Big weekend - bet it feels good though. I'm with Jane - I'm not telling. Is the window person 'screaming' or covering the ears because of the jackhammer???? Can't wait to see the finished room now! Covering his ears. He's a sensible chap and doesn't even like mowing the lawn without ear muffs. What a great job and all in one day! Very impressed! Hope it doesn't take too much longer. Thanks! It will take a bit longer yet as we've now got to wait for the floor to dry (around a month). I think I have gone mad by starting it anyway! At least I've got a dead line to work to! The count down is on till the next baby so I have to finish before then! We provide home repairing and remodeling services, and we like hearing from our customers, even if they have relocated to a new place. Now, we we cover Somerset West, so that we can help the local people in a better way.